Redthil: Its World Beauties Show @ Bangalore!!!! Aero India 2009 begins from Wednesday to Sunday. Aero India has already carved a niche for itself globally as a premier aerospace exhibition, with six successful editions organized between 1996 and 2007.The show aims at bringing under one roof, exhibitors from all around the globe to showcase the best in aviation. 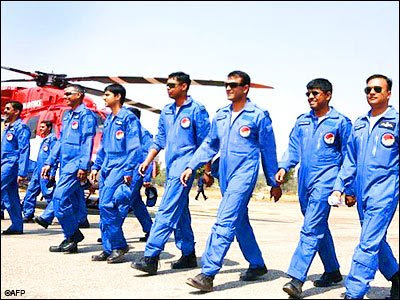 Aero India includes both flight and static displays of a wide range of civil and military aircrafts from leading manufacturers, vendors and suppliers. Eyeing India's over $30 billion defence market, 592 global and Indian defence companies will showcase their aircraft and weapon systems at the seventh edition of Aero India starting in Bangalore from Wednesday. Of these exhibitors from 25 countries, 303 are from overseas and 289 from home. The major participant countries include the US, Britain, France, Italy, Germany, Russia and Israel. This is the largest foreign and Indian participation at the show. At the moment, India's long defence shopping list includes big ticket items such as the 126 multi-role combat aircraft, 197 light utility helicopters, various reconnaissance aircraft and choppers and types of artillery systems, radars and sensors for its three services. Additions to the existing list were made after the 26/11 terror strikes with armed forces going in for fast-track acquisition for their urgent needs. To witness the mega event, Defence Ministers from eight countries including France, Peru, Bolivia, Surinam, Mongolia, Oman and Maldives will be at the show, besides high level delegations from 40 countries. Germany and France with 31, 26 Companies from Britain, Russia with 24, Italy with 20 and Israel with 11 companies would be the major participants at the seventh edition of the show. China would participate in the show for the first time with a 10-member delegation led its Deputy Air Chief. US will be the largest participant at the event in terms of the space occupied at the venue. 22 of its companies will showcase their different civilian and military aircraft as part of flight and static displays. The major attraction of the show would be the flight displays by the four foreign fighter aircraft vying for IAF's 126 multi-role combat aircraft deal. This includes the American F-16 and F/A-18, Russian MiG 35 and the European Eurofighter Typhoon. The other two contenders Gripen and Rafale have not brought their aircraft for the show. 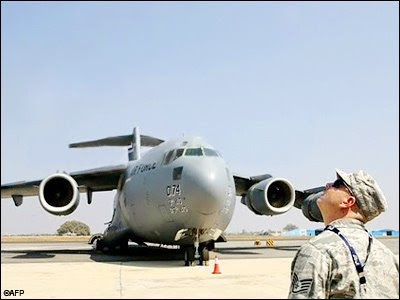 Rivalry of the US contenders to fly Indian VIPs in their fighter jets will continue during this edition also with Lockheed Martin flying Indian Olympic-star Abhinav Bindra in its 'Fighting Falcon' and Boeing planning to fly two aviation personalities in its 'Super Hornet.' 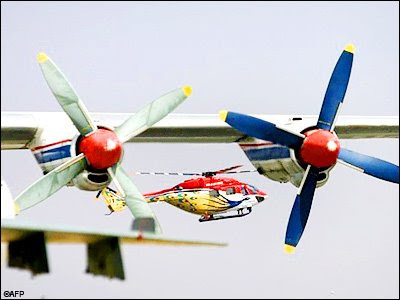 In the 6th edition of the show, Tata Group Chairman Ratan Tata was flown by both the companies in their aircraft.